Learn by playing many different styles in a fun atmosphere. Acquire the knowledge of professional musicians from your home. PianoChops provides video-based, online piano lessons that specialize in playing by ear. Start your learning journey and have fun! Pi-ano (noun): a musical instrument played by pressing black and white keys. Chops (noun): skill or excellence in a particular field or activity (such as playing music). *You will become part of the newsletter and stay in the loop for new videos and special deals. Learn how to play piano with online lessons at Piano Chops! Piano Chops is an engaging site for beginners to plunge into the ivory keys and work towards becoming a skilled player. Advanced players will be able to find ways to enhance their skill set. Piano Chops provides online lessons for piano chords, styles, theory, secrets, and well-known songs. Learn how to play with several different teachers who are well-versed with years of experience on the piano. Find free lessons and tips for playing the piano and subscribe for the full experience. With a full subscription students have unlimited access to all lessons from beginner to advanced. 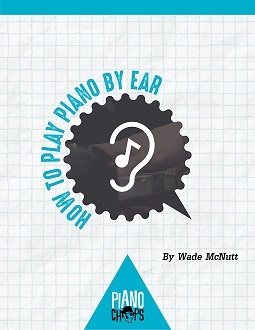 Lessons include sheet music to download as well as mp3 play-along tracks to get your jam on. Unlike DVD courses, PianoChops will be updated frequently so practicing never grows old. Many genres are available to learn. Find your soul with the Blues, head down south for some Country, become a rockstar with Rock and Roll and become the favorite person at holiday party when you learn Christmas songs. Also featured will be Funk, Gospel, Contemporary Christian, Jazz, and Classical. Fine tune the fundamental muscle-memory with scales, chords and theory and learn to read music, site-read and chart with Nashville numbers.